In a news conference yesterday, LeBron James unveiled his newest shoe, the LeBron 12s. The shoes have more technology than the ones that left footprints on the moon. The 12s comes in a variety of fashions, like Instinct and Trillion Dollar Man, but all versions feature six hexagons, located on specific pressure points to improve performance (i.e. make LeBron jump higher, run faster, etc.). As stylish and futuristic as these new kicks are, however, it was LeBron’s attempt to “Boozer” his hairline that captivated the Internet’s attention. For those unfamiliar with the concealing tactics of Carlos Boozer, two years ago, Boozer, another hairline struggler, showed up to a game with his head looking like it had just received a fresh coat of black shoe polish. It was a disastrously misinformed attempt to stealthily find a hair solution, and at the next game, Boozer’s head went back to its modest covering. Still, his shoe polish shenanigans live forever in Internet infamy. For the news conference, LeBron appeared to have taken a page from the Book of Boozer, as his legendarily lacking hairline looked a bit more robust than usual. It remains unknown whether LeBron went with the temporary Boozer fix or the permanent hair plug solution, but both scenarios are charmingly vain. LeBron’s battle with his uncooperative hairline has been longer and more uncomfortable than Gwyneth Paltrow’s Oscar acceptance speech. During his rookie season, LeBron had an unbroken hairline, although it did perch atop his movie-screen-sized forehead. Over his illustrious career, his forehead has been waging an unceasing assault upon that delicate line of hair, and in response, LeBron has sported increasingly larger headbands worn farther back on his head. Before this recent hair treatment, LeBron’s trajectory would have likely been to wear a beanie during his games in 2017. Whether or not LeBron’s hairline will return to its prior sparseness is a question that only time can answer. But, LeBron’s protracted drama with baldness brings up another question: Why does he care about his hair? LeBron is the best player in the world by any metric. Kevin Durant may have won the MVP last season, but that is because LeBron coasted during parts of the season in the feeble Eastern conference; whereas, KD was dragging a Westbrook-less Thunder into contention during those same parts. King James is the most complete player we have seen in a generation. He redefines the possibilities for one person on a basketball court. He excels at every facet of the game, and where he decides to play shifts the entire landscape of the league. Yet, he still cares about a few dozen follicles at the front of his head. LeBron’s only parallel in league dominance faced a similar decision in his early career. 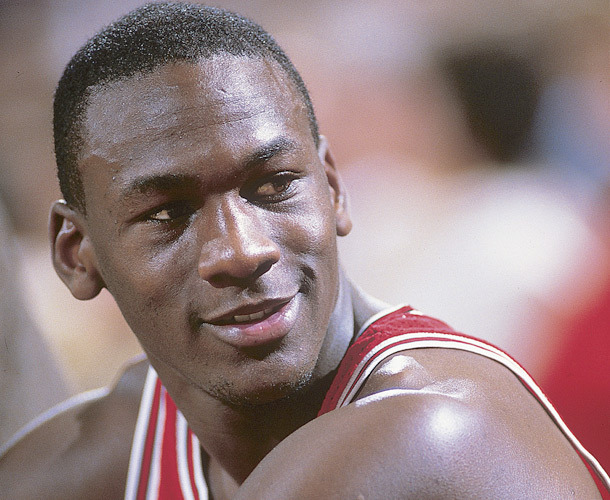 Once upon a time, Michael Jordan played with a full head of hair. Then, in his fourth season, his hairline made a bit of a retreat. Jordan, unwilling to show any sign of mortality, shaved his head, started a fashion trend and made his bald head an iconic image. LeBron, on the other hand, has approached baldness like Dr. Andre Nowzick, with an unyielding denial that he is losing his hair. For whatever reason, one of the most imposing physical specimens ever refuses to embrace the limitations of the dead proteins on the top of his head. By making repeated attempts to cover this shortcoming, LeBron has fallen victim to the Streisand effect, which happens when an attempt to conceal something only results in that something becoming well-known. Had LeBron shaved his head, there would have been a brief period of mockery, but eventually, we would have grown to love and fear the baldness, like we did with Jordan. Instead, LeBron’s insistence on his hairline became an endearing characteristic. For someone whose greatness is beyond relatable to most, struggling with baldness is a fun reminder that LeBron is human. Isn't it nice to know that King James really is mortal!